I have a very cute cat Manny. But Manny had a nasty allergy. She kept scratching herself continuously and with panic. In order to not damage her skin, I had to keep giving her unwholesome hormone drugs. But as a vet I didn’t agree with that. While surfing in the internet I found a web page which propagated feeding pets with raw food. Going more deeply into that topic I discovered that cats are rather tamed than domesticated. From the very beginning they have taken care of their food by themselves by catching mice and small birds. This means that most of their food consisted of proteins and fats. Cats definitely do not need carbohydrates. Nevertheless, last two decades most of European cat owners have fed their pets with dry food. 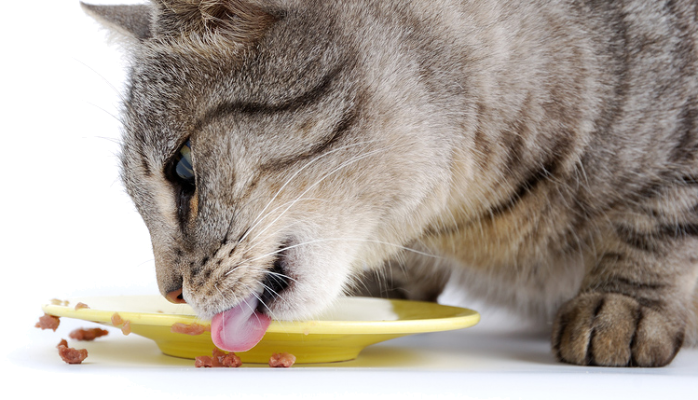 In the natural cat food there’s only 5% of carbs, but in most of the dry food as much as 50%! But cats lack enzyme, an amylase, in their saliva that is needed for decomposing carbs. Unnecessary carbs in dry food cause overweight and diabetes. Heating in the process of producing the dry food causes allergens. Also, cheaper dry foods consist of the leftovers of the food industry, because it is expensive to handle them by law. Cats are bad drinkers by their nature because their prey consists of 75% water. In dry food there’s only 10% of water. This causes hidden water deprivation in cat’s organism which in turn causes bladder inflammation, bladder stones and even renal insufficiency. Mites living in dry food can give rise to asthma. Cats should not be fed only by vegetarian food. Unfortunately valuable animal proteins are replaced by cheap vegetarian proteins in most of the dry foods. But these are not wholesome, because they lack indispensable fat acid taurine.Soya proteins have been associated with hyperthyroidism and phytoestrogens in soya may lead to the generation of pyometra. Deficiency of animal proteins decreases the resistance to the illnesses. Also, wet food for cats is not an ideal solution. These products are heated and quite expensive. Cheaper wet foods are made of unsuitable soya protein. Ideal food for cats is freshly caught small mammal. It contains all necessary nutrients and these are naturally balanced. It doesn’t contain shoddy substitution, preservative or ballast nutrients. Unfortunately cats who live in flats in cities can’t go hunting. In order to live a long life in good health, their food should be as natural as possible. Meat given to the cats doesn’t need to be boiled. Any kind of heating decreases its biological value. The best choice is raw food. It is increasing trend in the whole world. It is an utmost importance that a cat eats bones as it did by eating its evolutionary prey. This is the source of calcium. Liver is an important source for fat-soluble vitamins. Fish oil ensures healthy skin and shiny fur. Nevertheless, preparing home-made balance raw food is not very comfortable. Often people don’t like dealing with raw meat. In addition to that, one needs pretty powerful meat masher that could also mash the bones. One also needs to provide fish oil and B-vitamins. On the other hand I can tell that it is difficult only at the first time. If one cares about one’s pet and sees how the natural food has effect on them, then it’s easy to make such an effort. 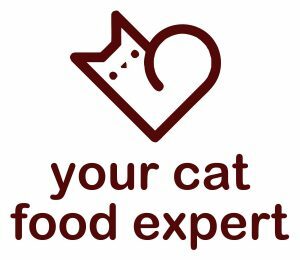 When my cat Manni started to eat raw food, she overcame her allergy. Wishing wellbeing to your pets!